Juan Neal, aka Philly Blocks, grew in the 28th and Dixdale area of the West End of Louisville, Kentucky. This 21-year-old rapper claims that he stayed on a thin line between school and the streets. While females around his way were focused mainly on school and religion, a lot of the men, including his father, worried about the streets, and Philly took that on. “I stayed in school and played football, but that didn't stop me from hustling and running the streets,” Philly said. After getting arrested on a gun charge at 17, Philly started writing and rapping while serving his time. Although he never really wanted to rap, people encouraged him to, and to never go back in the system, which he never did. “I started working on practice mixtapes and passing them out which built more confidence in doing music,” Philly says. After hearing some wack dance music on a trip to South Carolina, he concentrated on music even more, doing an open mic his first Saturday back, and got his own management team. Read more about Philly Blocks and listen to some of his music after the jump! Philly’s inspiration for music is simply life. “The ups and down,good and bad's. Watching people struggle the hood I grew up in, my family,” Philly said. Yall know I like that. Real music that other people can be inspired by and really rock to comes from real experiences His favorites rappers include the great legends Tupac, Biggie, Jay-Z, Nas, Scarface, and The Old No Limit Movement. He also likes Young Jeezy, Yo Gotti, Lil' Boosie, Nipsey Hussle, and Vado. 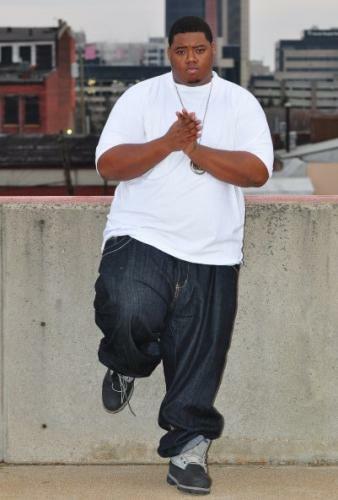 He aims to achieve a status in the rap game like Pac, and the movement that Dipset and Jeezy created in the streets. Since he started rapping, Philly has dropped two mixtapes, Marlo Stanfield:The Crown, and Live From the West End, which can be downloaded at DatPiff.com. “I'm working an Street Album called L.O.E (Loyalty Ova Everythang) and the second installment to Marlo Stanfield with Thru Da Roof, along with Marlo Stanfield 1.5,” he said. Philly keeps pursuing rap as a career to change his way of living and to put other people on, and also to keep traveling to different towns. He’s traveled to NYC, Cleveland, Houston, Indianapolis, and other cities to perform his music. Philly also says that what makes him different from other artists out here is that he is a street lyricist. “I can put the realest of the streets in my songs and make it hip hop to where a different audience is going to listen besides the regular street audience,” he said. After checking out him out on MySpace, I found "Rider Girl," his latest single that he wrote to express his feelings for his present girlfriend. I love it! I love when men openly express their feelings for women. I've seen plenty of guys that think it's stupid or weak to, but I like for a man to be real about the feelings he has. I know other females do too. Call it weak or whatever. It's a beautiful thing. Listen to Philly's "Why Not" below, shouting out his hometown of Louisville! He go hard for his city! You can listen to more of Philly Blocks' music and get in contact with him on his MySpace, Twitter, and Facebook. Every artist I highlight has amazing talent and potential, and Philly is no different. His music reflects real life, his experiences and it's refreshing to hear.